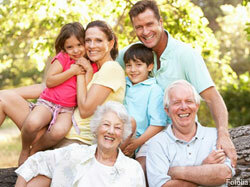 A family endowment is something that may benefit everyone in a family – including you. The goals of an endowment are simple – accumulate enough assets to allow you to live comfortably off the income during retirement and to maintain and preserve the principle for your loved ones and future generations. Here are five guidelines that, if followed, may assist you in creating and preserving a family endowment. 1. Assets with immediate income. If you are retired and require immediate income, the investment assets in which you place your money should be focused on current income instead of those with longer-term appreciation with a later payoff. These are called fixed-income investments, and there are many to choose from. An example would be municipal bonds. They can provide regular payments to you and pay their face value at maturity. 2. Evaluate investment risk. Recognize that each asset has a different level of risk – as the risk rises so does the potential gain – and the potential loss. Once you understand the risks, the investments you make have much to do with your “investment personality.” Are you more of a risk-taker, or do you want something you can feel more certain about? Aside from personal preference, it is also prudent to figure out if you can actually afford to lose the money invested in a higher-risk asset. 3. Examine asset liquidity versus your particular needs. Some assets – such as publicly traded stocks, for example – allow for potential access to funds when and if needed. Others require a longer-term investment with payout further down the road. An example is zero-coupon bonds, which pay the principal plus interest at maturity. Yet another is mutual funds that focus more upon appreciation of capital than on immediate income. Before investing, you should examine the liquidity of an asset, and decide whether you can afford to wait the required amount of time for optimal return. 4. Always diversify. It is important that all your financial eggs not be in any one basket. The logic behind diversification is that losses in one area might be made up for in another investment or group of investments. You should make sure your assets are allocated among several suitable choices that you fully understand. For example, you could invest for immediate income with one asset, and for long-term appreciation with another asset, as well as a combination of higher and lower risk investments.